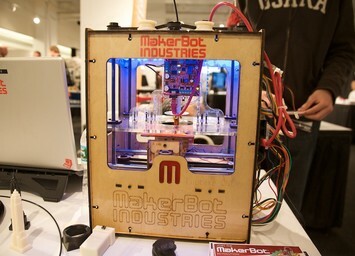 Originated by the launch of the Makerbot Cupcake CNC in April 2009, hobbyist 3D printers have radically altered manufacturing and product development. 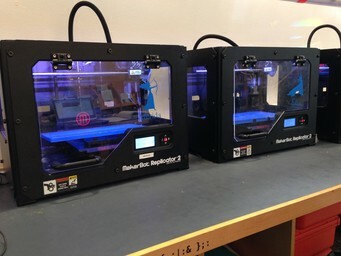 These machines brought rapid prototyping capabilities to any engineer or fabricator able to CAD, and propelled the field of 3D printing into the global spotlight. The popularity of these machines lead to widespread exploration of the potential applications of 3D printing — many of which required parts that were beyond the capabilities of the machines themselves. This mismatch between expectations of the machines and their capabilities unveiled the actual application space of hobbyist printing. In the years since the hype has died down, two critical things have happened. First, hobbyist printers have improved significantly. Better slicing algorithms and broader material ability make these machines much more useful than existing machines. Second, and more importantly, companies have started to release professional and industrial-grade machines at price points that rival hobbyist machines. 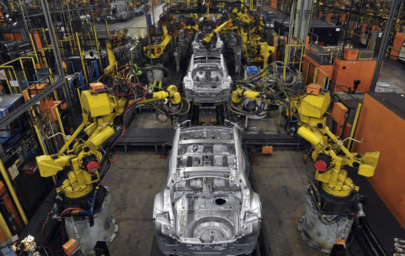 These machines may look similar, but have a few key differences that make them far more useful for industrial applications. Hobbyist printers utilize lower grade materials that have inferior material properties. Though there are exceptions, the vast majority of hobbyist printers print with PLA and ABS. PLA prints well on most machines and is moderately strong. However, it quickly fails in industrial applications due to poor impact, heat, and temperature resistance. 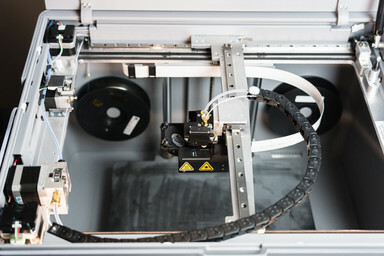 Advances in hobbyist machines have yielded materials like Tough PLA, which has significantly better impact resistance than its predecessors — however, it still yields at barely above room temperature. 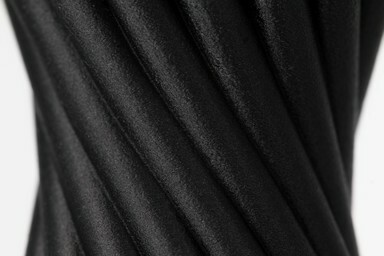 ABS possesses increased temperature resistance, but is weaker than PLA and has no chemical resistance. 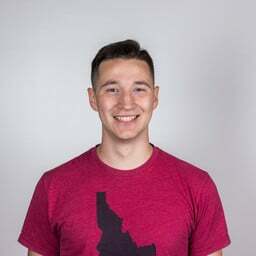 Professional printers like those from Markforged print with a chopped fiber reinforced nylon, a material that’s stronger and tougher than the best PLA, while also being both heat and temperature resistant. In addition, Markforged machines utilize long-strand fiber reinforcement that yield parts 20x stronger than standard printing plastics. 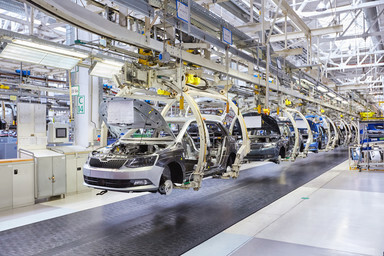 Cheap gantry systems cause misalignment and geometry issues, and wear out quickly with consistent usage. Once a gantry is broken, the printer is unusable. Cheap nozzles and print heads lead to under extrusion and repeated jamming/clogging. As a result, these heads fail faster. Unverified and poorly vetted materials have inconsistent print quality and print settings that yield unusable parts. Cheap print beds lead to failed prints on the first layer and wear out quickly. In the past few years, hobbyist printers have drastically improved their user experience, but most still suffer from basic printing issues. Professional 3D printers have higher quality components designed for high usage over long periods of time. Wear components are designed to be easily replaceable to minimize downtime. A 3D printer must prints parts within acceptable manufacturing tolerances to be useful for industrial applications. Unfortunately, most hobbyist printers do not prioritize accuracy when printing. This leads to parts that are unusable due error — in some cases, printing error is measured in millimeters instead of microns. In addition to inaccuracy, a combination of the inferior materials and print environment lead to lower part quality. It’s not uncommon to see surface defects and warping on parts printed by hobbyist machines. On professional machines, engineers prioritize print quality to a fault. They optimize print settings to bring tolerances within manufacturing standards (.005” or 125 micron) while utilizing more dimensionally stable materials that don’t warp and exhibit excellent surface finish. 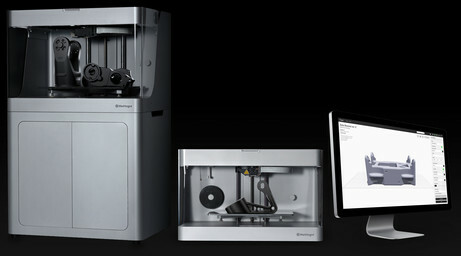 The Markforged desktop series are professional-grade machines at a similar price point to their hobbyist counterparts. All three possess best-in-class build quality and print with Onyx, Markforged’s proprietary chopped carbon fiber reinforced nylon. See the differences and learn more below. If you’d like to feel the strength for yourself, get a free Markforged sample part.